"Horowitz is the best doctor I've ever seen bar none"
"Very caring, & kind physician." "I already referred two of my colleagues to art. Horowitz. he is the best doctor, intelligent, compassionate, and cares about the patient. I trust his clinical judgement." "Extremely thorough and shared a plan of care that we both agreed on"
"Dr. Horowitz is simple the best - - He is a true professional. I have recommended him and will continue to do so. Great doctor. Thanks!!" "Dr. Matthew Horowitz is the #1 physician in the WORLD! that I have ever met. He is respectful, kind, thorough and such an amazing person. Best doctor award!!!!! " "Dr. Horowitz is the best!" "I had an excellent experience at the practice"
"Dr. Horowitz is a professional & caring medical provider." "Dr. Horowitz is our family doctor for many years. He is a congenial and caring doctor who is meticulous, patient and friendly as well." "Dr. Horowitz is truly a caring, kind, patient doctor. He is a top notch doctor!!" "Dr. Horowitz is the best." "I felt Dr. Horowitz spent a lot of time with me on my annual visit and patiently listened to my concerns and discussed options. I realize he is very busy and was pleased he did this without making me feel rushed. Most importantly, I trust his judgement and treatment." "On a 1 to 10 scale, he is a 15!!!" "I've chosen this physician because of his genuine concern for my health. He patiently replies to questions I've asked & explained how medications will be taken. I've never felt rushed but always feel I can get the information I need. I will certainly refer my friends to him." "Dr. Matthew Horowitz is an excellent physician. He amassed all the information on me and and put together a complete picture. This is the second time I saw Dr. Horowitz. He will be performing a colonoscopy on me next month." 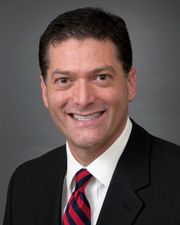 "Dr. Horowitz is knowledgeable, professional, courteous, pleasant and does not rush the patient." "#1 doctor! = Matthew Horowitz!!! He is the MOST kind & the MOST caring!" "I've chosen this doctor because he exhibits genuine concern & knowledgeable care of my health issues." "Dr. Horowitz is an intelligent , knowlegible and caring physician." "Great job and adept at doctor patient communications"
"Dr. Horowitz is truly a caring & amazing doctor! He is detail oriented, efficient yet super patient and I don't feel like a "number" but a person that he actually cares about! My whole family sees Dr. Horowitz!" "I thanks to Dr. Horowitz. Always listens and helpful the best doctor I have ever seen. Feel real lucky to have him. He saved my life on 2014 appendicitis. Once again thank you doctor & staffs. Thanks North Shore University Hospital too." "Doctor Horowitz is a very patient and compassionate professional." "Dr. Horowitz exceeded all expectations. He was phenomenal. Nurse at end was great too." "Dr. M. Horowitz is the best of the best. My mother used him & now my daughter & granddaughter are using him & love him!" "extremely caring giving and polite and professional"
"Sometimes you have to wait a while for doctor but when he is with you he does not rush and is very thorough." "I travel 3 hours both directions to see Dr. Horowitz. He is a great doctor." "Dr. Horowitz is one of the finest doctors I've ever seen." "Dr. Horowitz called me himself to give me the blood test results. I appreciated this." "Dr. Matt is a very caring person." "love my Dr and very pleased with the staff"
"Dr. Horowitz was friendly, concerned and thorough in taking information and providing treatment. He asked that I follow-up with him in a few days." "was very concerned about typing all my comments directly into the computer. would have like him to talk directly to me stop and then type." "care provider was excellent. I'm very happy I chose this one." "I didn't need any information about medications or treatment, although we did discuss whether they were necessary." "Dr. Horowitz was (is) an excellent doctor - caring, thorough and extremely knowledgeable." "Dr. Horowitz is the most wonderful, kind any caring physician. He squeezed me into his schedule even though he was fully booked." "Dr. Horowitz is terrific. He is caring, competent and professional. I would recommend him to anyone." "Dr. Horowitz is caring & professional - I have & will recommend him to others." "It was the epitome of excellent care." "The best doctor I have ever been to. So kind & considerate." "Thank you for making me feel very comfortable and at ease." "Dr. Horowitz is a great caring dr. He is very caring and dedicated doctor." "After being told I'd have to wait 45 mins. the doctor came in immediately & did my visit before his longer one. I was very grateful & relieved." "Dr. Matthew Horowitz is an excellent physician. He is kind, caring, accessible, & intelligent." "The doctor is cautious and understanding in whatever he does."